Take a peek at another one of my favorite collections from Rowan's 2015 A/W releases – Rowan Loves: Creative Focus Worsted & Pure Wool Superwash Worsted. 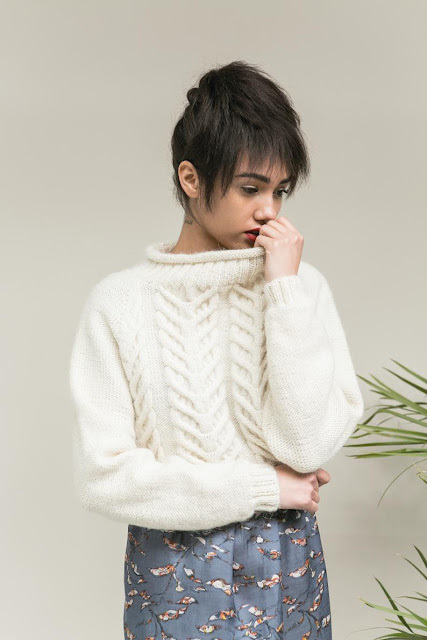 This is the third brochure in the Rowan Loves series, and features nine designs that can be knit in either yarn, giving you lots and lots of options. I am absolutely in love with the photography and styling of this collection, and no surprise, these were all designed by the talented Marin Storey. See for yourself why I adore all of these gorgeous sweaters and accessories. So wearable with fun details ... and it's so much fun seeing the design variations and differences between the two yarns! Enjoy. 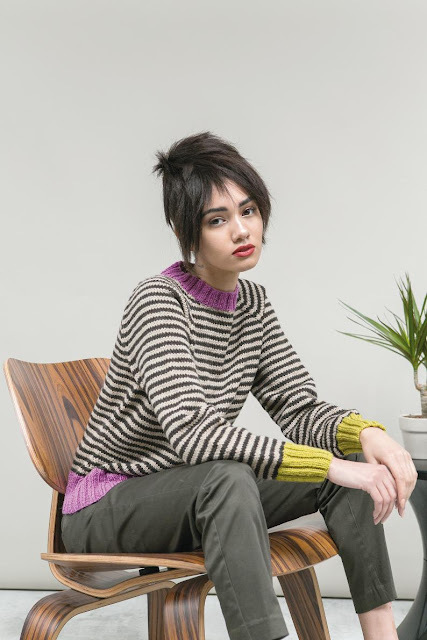 Let's start off with Bellerose, a classic striped cardigan or sweater. The contrasting colors in the cuffs and bottom edge are so cool; I'm in love with both versions of this sweater. Use either yarn to knit Rockette, too. 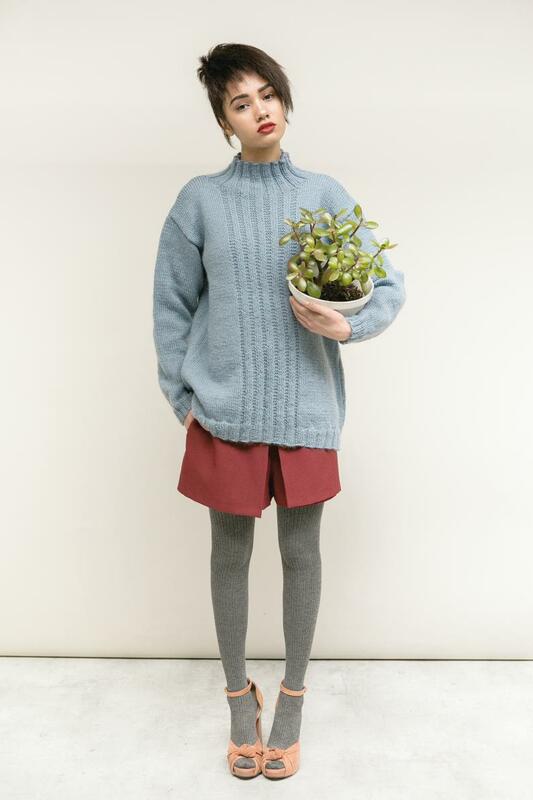 This casual sweater has ribbed edgings, semi set in sleeves and a pouch pocket. I would wear this all of the time. Bergen would clearly be gorgeous in either Creative Focus Pure Wool Superwash. This boyfriend style cardigan has contrasting pocket and cuff detail. I love the shape of this and again, the color-blocked sections are super fun. Corona is a textured cardigan or sweater. The longer length cardigan has placement pockets and the longline sweater has a deep rib collar and edgings. 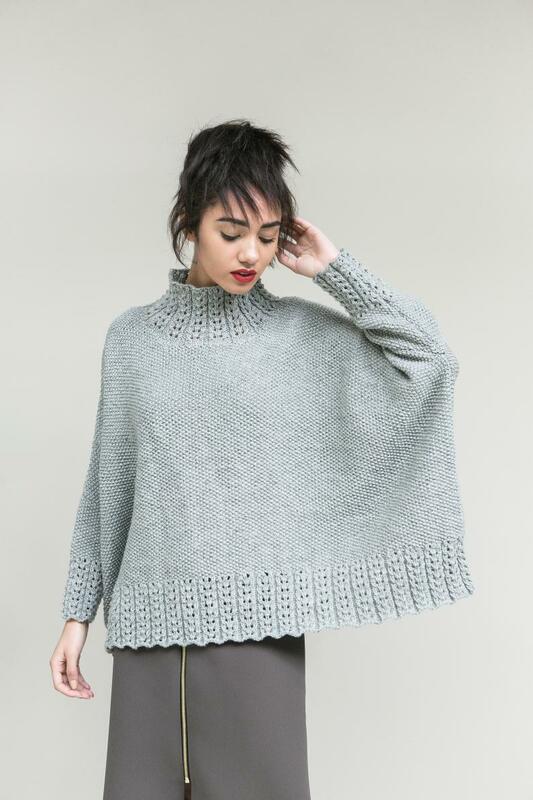 Astoria is a chunky cable sweater with a roll neck and raglan sleeves. It can be knitted in either a shorter or longer length version. 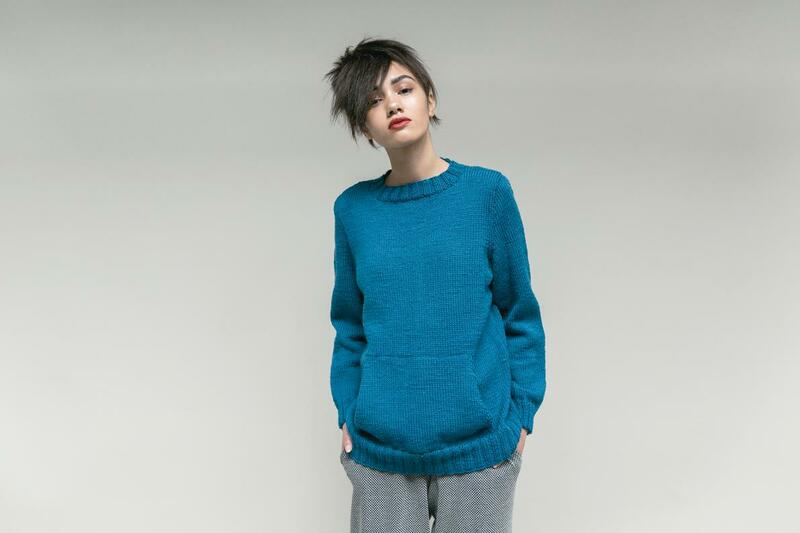 Driscoll is a classic sweater with semi set in sleeves. 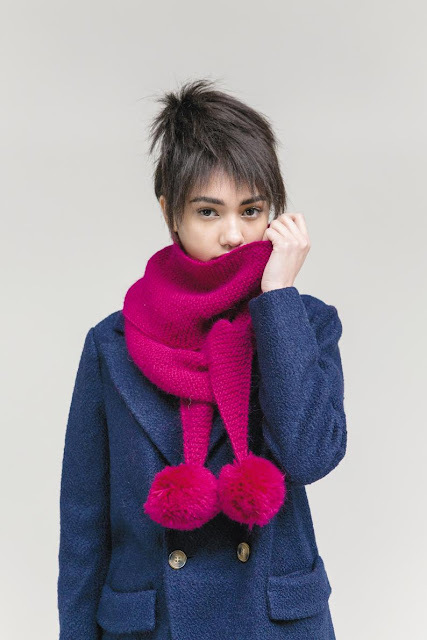 It has a stand up rib collar and can be knitted in either a shorter or longer length version. Haven is a boxy sweater or jacket. Both of these loose-fitting designs are knitted in moss stitch with delicate, contrasting lace panels. 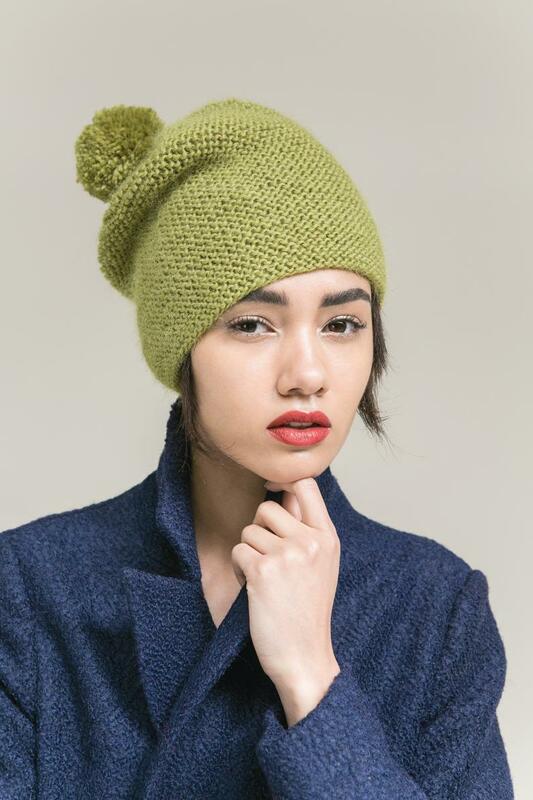 And finally, Union is a slouchy hat knitted in garter stitch. It uses just one ball of yarn! 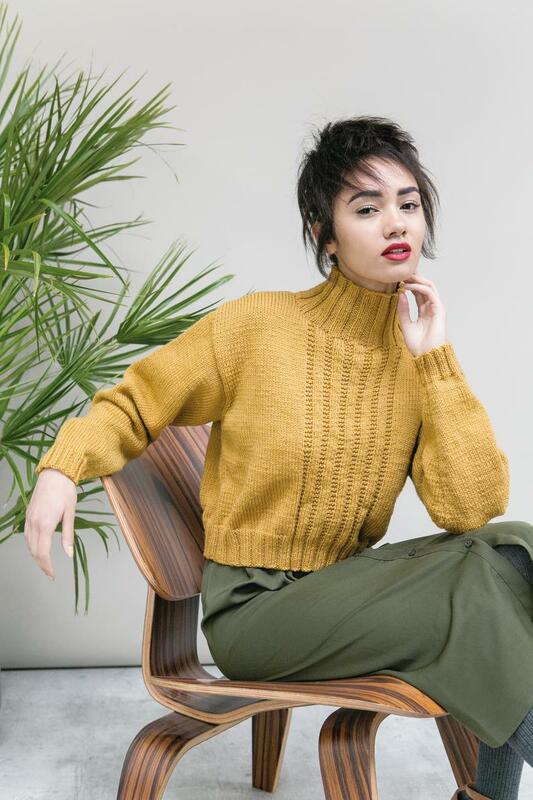 Keep an eye out for Rowan Loves this fall at your local or online Rowan stockists ... you'll love this collection! Fabulous wearable collection....... the scarf is a must have...oh and the boyfriend cardy...maybe the stripy jumper..no! the boxy sweater. just off to stock up. Stash yarns have 35% off.